Writer/historian of Detective Fiction and the Victorian Gothic. Also cultural observations and interviews from literature, stage and screen. 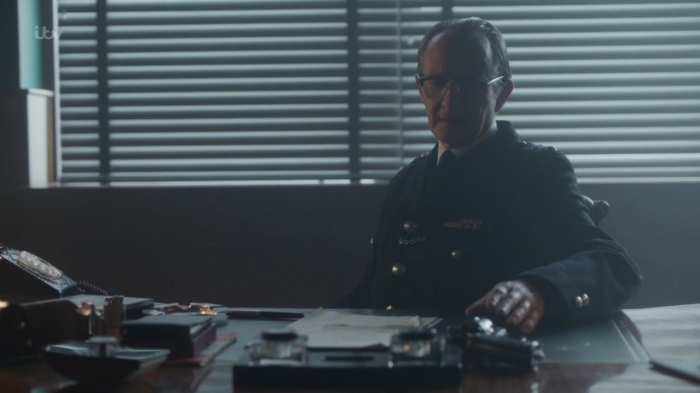 The final part of our journey discussing series three of ENDEAVOUR as well as previewing tonight’s film with writer/executive producer – Russell Lewis. Remembering Graham. My Grandfather, mentor and friend. DAMIAN: Morning Russ. Just pass me that note on the fireplace, it’s got the questions on. Thanks. So evil twin, no, we’ve done that. Tiger, yeah that one too. You see, I’m asking all the right questions, but not necessarily in the right order. Here we go then, eyes down for a full house – would you agree that CODA was by far the best film of series three? RUSS: I honestly couldn’t say. 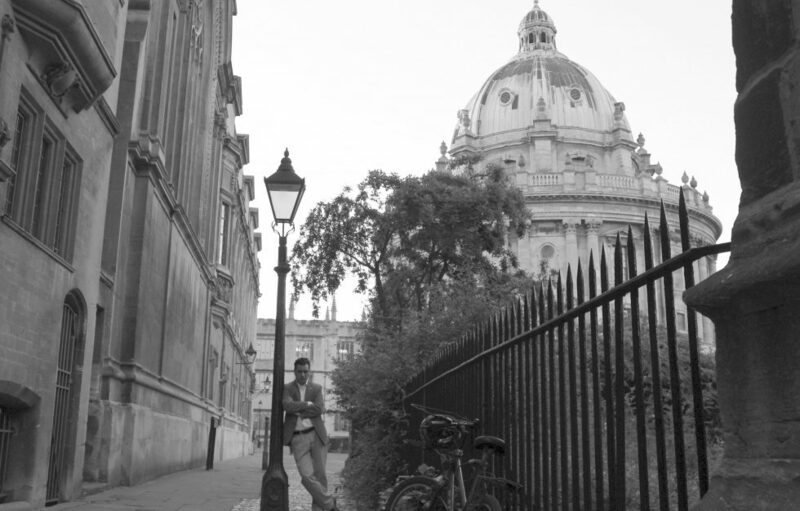 DAMIAN: Of all the ENDEAVOUR films thus far, which one would you say was the best or at least which are you most proud of? RUSS: Again – unhelpfully – I don’t have a favourite child. I have good (and less good) memories about each of the films. DAMIAN: Do you ever get a sense, either in the writing, filming or post production process, which of the films are going to be a hit with audiences? RUSS: Not particularly. ENDEAVOUR has always been a Variety pack. Someone will love the Ricicles, but not the Sugar Puffs. I view it as a totality. DAMIAN: When I’ve asked you about specific films in our previous interviews, I often get the impression that you haven’t seen them in a while. Obviously you see the rushes from each day’s shoot, but other than that, do you not watch them again? RUSS: It’s very personal. We watch not just the dailies, but also the weekly assemblies, and every cut that’s done in post – on which we give notes. And then again in the grade… and during the final mix. So. Once I’ve seen the final cut graded & mixed… I tend not to watch them again. All I ever see are the flaws – the things we could have done better. Battles lost and won. DAMIAN: Would it not even prove beneficial to watch them again as a refresher before you embark on writing the scripts for new films? RUSS: It probably would, but the pain to benefit ratio is too far tilted towards to the former as to make it unbearable. DAMIAN: Will the Lewis family not be gathered in front of the television with a Good News box of chocolates to watch tonight’s film? DAMIAN: There’s this rather strange phenomenon now where fans tweet along as ENDEAVOUR is actually broadcast instead of focussing on the show and giving it the full and undivided attention it deserves. What do you make of this? RUSS: If people enjoy it, I don’t see any harm. People talk while watching things. It’s just an extension of that. We are a guest in their homes, and it’s lovely to be invited around to spend time with them. So long as nobody gets hurt, there’s nothing to frighten the horses, and it’s all consensual, then folk can do just as they please in their own lounge rooms. Either side of the TX +1, it’s a lovely way to interact and connect with people who enjoy the show. DAMIAN: As many reading this will know, your scripts are always filled with so many delightful references to INSPECTOR MORSE and various other things –CODA is no exception and newcomers might like to check out GREEKS BEARING GIFTS, PROMISED LAND and THE WAY THROUGH THE WOODS in particular– so you must go back and view the original series every so often? RUSS: Mmm. A bit, yes. With one exception. It’s usually characters that have stayed in the memory that put in an appearance. But there’s a lot still left to plunder. Yes, PROMISED LAND loomed large over CODA – thanks to the diligence of Helga Dowie, our brilliant Line Producer who has been with us since FIRST BUS TO WOODSTOCK, we managed to shoot the funeral of Harry Rose, which opens proceedings, at the same cemetery. Helga also came through magnificently with last week’s LAZARETTO – going to great lengths to secure the location used in DEAD ON TIME for William Bryce-Morgan’s house. It’s worth saying that the raid in CODA is not the bank-raid STRANGE and MORSE discuss in PROMISED LAND, which claimed the life of RON PIGGOT. ‘I lost one of my best officers that day, and you lost a good friend.’ We’re looking at the raid before that. Filling in some of the blanks. I did compile a feasible timeline that allowed for both raids and the fallout from each as part of my prep. Taking birth dates from the actors involved. 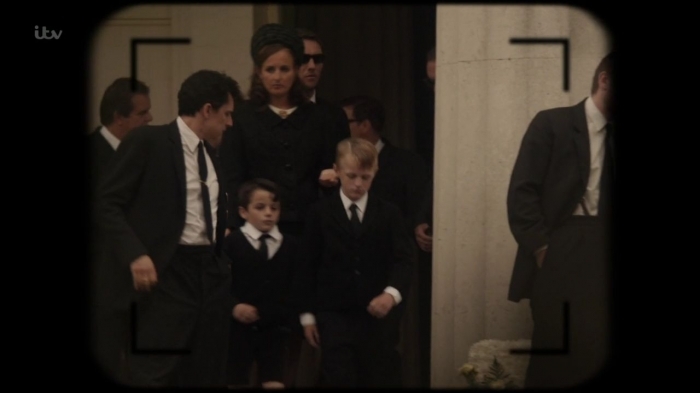 So – Con O’Neill’s character from PROMISED LAND appears here as one of the children at the funeral. DAMIAN: Did the idea for CODA begin with the bank robbery? RUSS: It began with the conceit of how we might have Endeavour solve a murder story in the middle of one, yes. Something different. I’m drawn to the proper coppering type stories – and I think the show often works best when the cryptic whodunit is working alongside the more Z Cars/Dixon/Carry on Constable type stories. Each of our heroes playing to their respective strengths. DAMIAN: There was a few elements, acts and decisions in CODA where I wondered if there might have been some debate or discussion as to whether or not a character would do this or that. Were there many rewrites for this film? 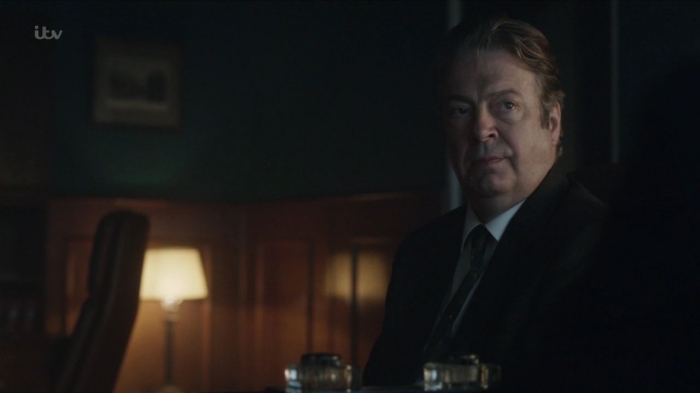 DAMIAN: Well, I think given everything going on with Thursday, although Endeavour doesn’t approve of him knocking about the informant Bernie Waters, I can just about understand Thursday’s sentiments that the end justifies the means. 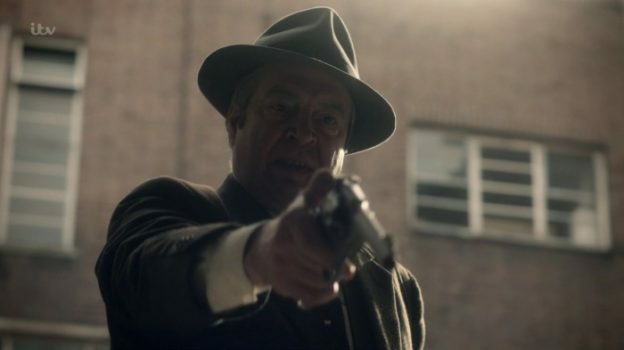 However, what did surprise me was Bright, after Division made it quite clear that Thursday was to remain suspended from duty, that he later gives him the gun (and indeed evidence from Blenheim Vale no less), basically giving him his blessing to go all Clint Eastwood. Now, it’s a beautiful scene between two men with such loyalty and respect for each other but the Bright we met in GIRL certainly wouldn’t have done this would he? RUSS: You’re absolutely right, of course. BRIGHT from GIRL would never have done it. I think the return of the revolver was a key moment in BRIGHT finally making his peace with THURSDAY. He goes against Division. It’s Joan’s life on the line. Unleash THURSDAY. If I remember right, the revolver moment first appeared in an early draft of RIDE – quite early on in the story. But it got the boot, and dropped back in proceedings to the last story. DAMIAN: And the other element which I wondered might have been a subject for debate was Strange also punching Bernie Waters? RUSS: No, that wasn’t ever a sticking point. In some ways, he’s closer to Thursday in his methods. Thursday knocking Hodges about in PREY, and giving Bernie a taste in this story – it kind of gave the green light to Strange to get physical. DAMIAN: And, of course, doesn’t the scene serve as a brilliant foreshadowing of the future strained relationship between Endeavour and Strange who is now his superior? RUSS: Which is why we went the way we did with it. With Thursday and Strange getting heavy handed, it leaves Endeavour, as the one point of reason, isolated. And it puts another boat’s length between Endeavour and Strange – as the latter pulls out in front on the ladder of progress and ambition. DAMIAN: You must have many discussions, perhaps even heated sometimes, with the directors and actors and I suppose this question is in two parts really. 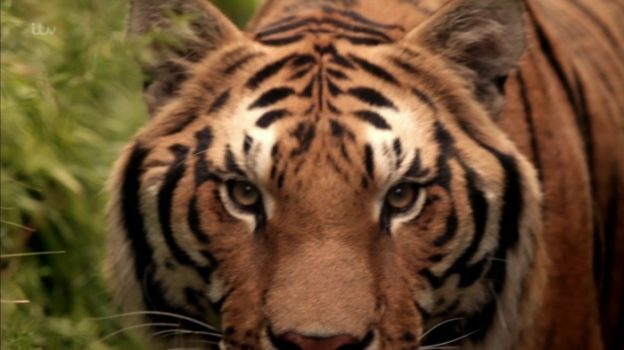 Firstly, tigers aside, you’ve written every episode so far and you’re obviously doing a grand job so why don’t they just trust you to get on with it by now? And, secondly, to look at it from a different perspective, who do you think challenges you to do your very best work? RUSS: It’s just not how it works. Any piece of work is a constant conversation from first to last. All interested parties provide feedback in the form of Notes – requests for changes. It’s our job to square the circle, and action the majority, if not all, of those changes. If people are bumping their toe on this or that bit of the story – initially a Brains Trust of Damien Timmer, Tom Mullens, Helen Ziegler on Series IV, the script editor, formerly Sam Costin, but on IV, Paul Tester – then it’s worth paying attention and addressing their concerns, because if something’s not working for them, then it’s very likely not going to work for an audience. And then the director will come on board – and they’ll have their take on it. And then it will go out to the Network for their thoughts. And, of course, at various stages – particularly after read-through – Shaun and Roger will give their feedback. Rebecca Keane – Creative Director at Mammoth is a top trouble-shooter and our last line of defence. She’s invaluable at identifying underlying difficulties and offering eleventh hour solutions, and has saved our collective bacon more times than I can remember. ENDEAVOUR is the work of many hands at every stage of development and production. But the notion of in the beginning was the word, and that the word is in some way inviolate is an utter fantasy. There are always other words. And you will need them all. At the front end, changes are editorial, but as production rolls, it becomes more practical. Things happen. Events, dear boy. Events. A location falls through, or a prop doesn’t work, an actor goes down, or you don’t quite get what you were hoping for, scenes dropping off the schedule that contains a piece of information vital to driving the plot – a million and one things. And you have to write your way out whatever the problem might happen to be. But I’m very lucky with the Mammoths – Damien knows which way is up. And, the Network on Series IV was very, VERY trusting and unbelievably supportive. Next to zero in the way of Notes. The thing to remember is not everybody gets their own way. None of us. It’s compromise. Often finding common ground and a third way that provides a solution everyone can feel happy with. I don’t know if I’ve said this before, but I have two notes up on the wall. The first is ‘Television is a collaborative medium.’ The second is, “Collaborators will be shot.” Now, that’s clearly facetious, but there probably an element of truth in it. I’m sure I drive them absolutely round the twist from time to time. Daily, probably. We all drive each other crazy. But it comes from a good place. Always. In the end it’s all about the work. Everyone cares so deeply about making it as good as it can be. ENDEAVOUR’s an absolute juggernaut of a machine, and once it’s left the station on its six to nine month journey it’s unstoppable. You have to keep feeding the coal in, and make sure nothing derails it. Television is an expensive business – and stopping production for whatever reason would be the equivalent of catastrophic engine failure. Immensely costly in terms of blood and treasure. And it’s always against the unforgiving minute. It’s not vital War Work – it’s show-business, but like any job it has its own levels of stress and anxiety. You live on your nerves from first to last. We all want to do the absolute very best we can with and for ENDEAVOUR. And that kind of comes back to the first dictum. The great William Goldman again – We’re all at each other’s mercy. So, when the muck and bullets are flying, and the stress levels are in the red zone, it’s important to keep that in mind – and deal with everyone as kindly as you’d wish to be dealt with yourself. Who challenges me to do my very best work? That’s hard to say. Different people challenge you in different ways, but I don’t need much encouragement to be unforgiving of myself. I can’t stand to repeat something, or even tell the same gag twice. So, I tend to make the creative life as difficult as I can. Throw up roadblocks and obstacles. And now… blindfold. You’re just trying to trick the brain, so it doesn’t automatically reach for the tried and trusted solutions. So the decisions one makes become almost independent. I’m sure that sounds unhinged. But ideally – such is the level of concentration one’s applying to the task at hand that the experience becomes out of body. The choices made are subconscious. It’s hard to describe, but it’s a kind of right hemisphere/left hemisphere thing – you want any story to surprise and intrigue, but never for its own sake; it also, primarily, has to be as emotionally truthful as you can make it. So you’re operating in a kind of no-man’s-land between the two opposing demands – attaining an equilibrium — and slipping from one into another. I don’t recommend it as a technique for a moment, it’s more a case of needs must when the devil drives, but some of the pieces I’ve thought have worked best over the years – not just on ENDEAVOUR, but across the board — have come out of a long writing session. Forty-eight, seventy-two hours. Unbroken. No sleep until you write ROLL END CREDITS. Somewhere in there you reach an altered state without the aid of chemicals. The barriers break down, and the other guy comes out to play. The dark passenger. I find I can access some places – emotionally, and, er… in terms of memory, that I might not get to otherwise. Your brain is overclocked. And it’s just developing the facility to exploit that access to waking dreaming. A kind of guided hallucination. I’m also available for Children’s Parties. I don’t know – any piece of writing always feels like it’s Russian roulette. Is this going to be the one where a full cylinder comes level with the hammer? DAMIAN: Aside from the absolutely cracking story and plot for CODA, what impressed me most, as always really, was the beautiful tender moments between characters such as the dialogue when Dorothea tries to comfort Mrs.Thursday during the armed robbery, the exchange between Thursday and Trewlove when he gives her the cigarette and Strange stopping Max from wading into the bank. All fabulous but as is often the case with the relationship between Endeavour and Thursday, it’s what left unsaid that really resonates. Like the scene towards the end (“There was a bullet left in the chamber, whatever you told Cole Matthews, you knew it. You drew his fire”) it’s the silence after this, the two seem to communicate best in theses pauses and they are masters of an almost Pinteresque understatement in conveying their respect and quite possibly love for each other. By the end of the final ENDEAVOUR, will they ever develop the ability to articulate this devotion and bond that they share? RUSS: Well – that’s very kind of you. Sadly, there was more Dorothea/Win material in that sequence that we lost for time. A bit of a window on Dorothea’s life. It always kills me to lose such things – and my heart bleeds for the actors. I fight for such moments all the way down the line, but all too often one has to bite the bullet. DAMIAN: And you’ve obviously got a plan for the characters and their story arcs, can we expect to enjoy ENDEAVOUR at least up until the seventies arrive? However, before then there’s a few things still left unexamined. DAMIAN: For the final time then, please tell us about tonight’s film? RUSS: Hmm. Well… Hymns Ancient & Modern. 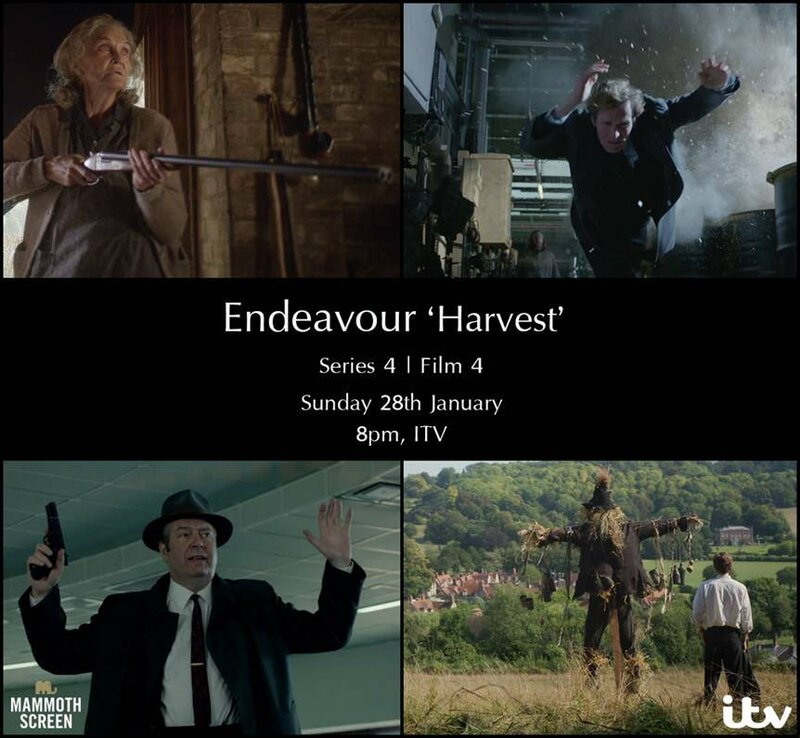 Endeavour & Thursday investigate a mystery that encompasses distant pre-history and the shape of things to come. Being a story with a pastoral flavour, the audience will need to winnow much chaff to obtain the wheat. It’s the conclusion of our Thirtieth Anniversary run, and I hope our final salute brings the many worlds of Endeavour Morse together in a way that pleases. For my own part… The casting cat’s somewhat out of the bag, but I”ll just say this. “And” can be a very special word. DAMIAN: Will there be a cliffhanger? RUSS: All I can tell you is that it’s a very different ending for a series of ENDEAVOUR. DAMIAN: Will there be sandwhiches? RUSS: Sheep may safely graze. DAMIAN: So far you have chosen: DRIVEN TO DISTRACTION, GREEKS BEARING GIFTS, THE INFERNAL SERPENT, CHERUBIM & SERAPHIN, DEAD ON TIME and MASONIC MYSTERIES. As we conclude your “Desert Island Dexter”, can you please give us your final two favourite INSPECTOR MORSE episodes? RUSS: Okay. It’s worth saying that the eight I’ve chosen are in no particular order of merit. But to close… Two very special films, I think. SECOND TIME AROUND – amongst the most affecting of all the Morse stories. I think it’s the human tragedy at the heart of it. The death of a child is always a serious business – but the circumstances of that death in this story just run through every moment so that the thing just aches with a sense of loss and grief. There’s no triumph in Morse’s cracking the case. Only regret. And like ‘It was Mrs.Fallon I knew…’ At this distance, I may be misremembering the exact phraseology, but SECOND TIME AROUND contains the most heart-breaking exchange in the entire canon. For some, I’m sure it’s surpassed by ‘Good-bye, sir’. Kenneth Colley’s tremendous in it. Monumental. And an early outing from Christopher Ecclestone, and the lovely Pat Heywood – such a fine actress. And dear Oliver Ford-Davies. Yeh – it’s a keeper for me that one. And, I guess, in terms of ENDEAVOUR we are edging towards an event which proves key to the story. Barrington’s score on DEAD ON TIME is terrific too. Amongst his finest. So – finally, finally… PROMISED LAND. The last of my trio by Julian Mitchell. Again, directed by John Madden. Morse and Lewis transported. Strangers in a strange land. In many ways it’s amongst the least Morse-like films – THE WENCH IS DEAD, notwithstanding – but that’s probably why it works so well. Because it’s a character piece. All the trappings stripped away, not just from Morse himself, but from the established identity of the series. It’s not what most would consider a whodunit – with a range of suspects and clues. It’s a mystery, yes – but I’d argue it’s not a whodunit. It transcends the form. Triumphantly. 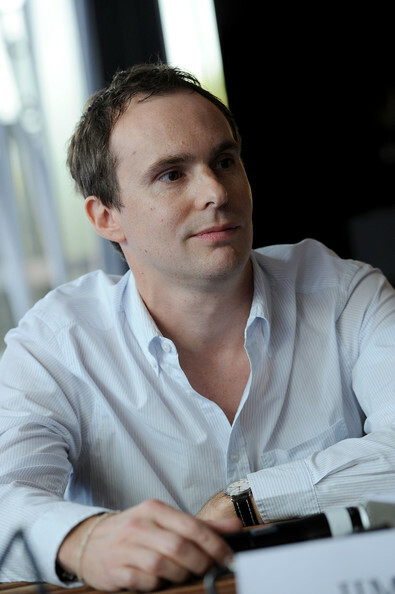 Madden said that he wanted the whole thing to build to a kind of High Noon finale – and he realised that brilliantly. 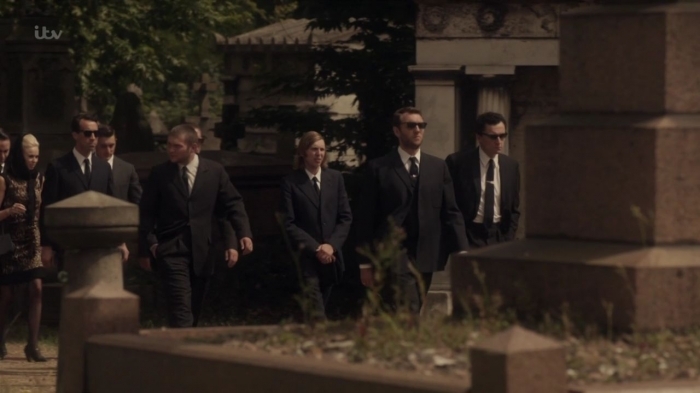 So many treasures to enjoy across the film – the Matthews family funeral – that we plundered in CODA. But what’s so great is to see Morse so much on the back foot. That all the unfolding tragedy was down to his error. In those days, there was no guarantee that series would return year on year, and so – with this final episode of Series 5, there was every possibility it would be the last. I think all of us who watched it at the time properly feared that Morse would not make it out of the final reel. And all of that was conveyed by the very simple device of Morse – for the first time – calling Lewis by his first name. Then you have that heart-stopping finale – and Con O’Neill delivering so much in next to no screen time. He’s a very fine actor – and I was lucky enough to get to work with him on my last LEWIS. He really deserved all the prizes as Joe Meek. A powerhouse of a performance. And wasn’t Mr.Evans in there somewhere? But – back to PROMISED LAND, and that finale. Stupendous work. A tragedy painted in heat and dust. And then that final exchange on the steps of the opera house. That eternal unbridgeable gulf between Morse and Lewis. The great man alone, trudging wearily up the stairs in hope of solace from his lifelong comfort. Up with the Morse code, and we’re into the theme… Curtain. DAMIAN: And if you had to save just one episode of INSPECTOR MORSE from the waves? RUSS: None of the above. I lay no claim to it being the best, that accolade would very deservedly go elsewhere, but for very personal reasons – THE WAY THROUGH THE WOODS. Writing and making it was a very special experience – working with Gina Cronk, a kind and clever friend, who gave me my first break into drama, and the woman without whom I wouldn’t be doing any of this at all. And Ted Childs, of course, and dear old Chris Burt. 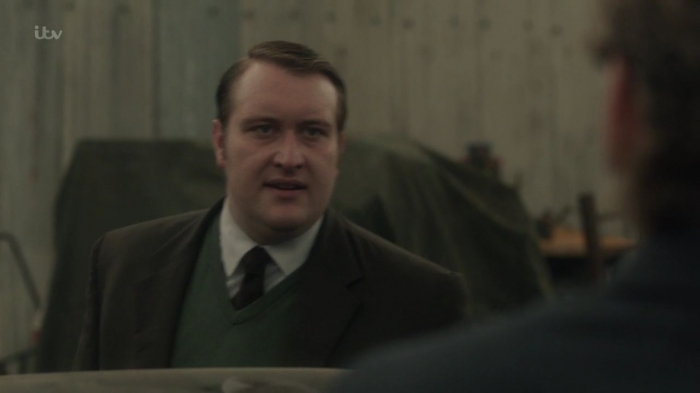 It also marks my first encounter with Damien Timmer – my partner in crime on many occasions, but for the last six years we have been conspiring to kill people, mostly on screen, on ENDEAVOUR. It’s been a very special and creatively rewarding relationship. He’s a dear fellow, madly talented and fearfully bright – and daily faces a workload that would leave lesser mortals six feet under. Seriously. He is inexhaustible, and gives so much of his brilliant creative energy to ENDEAVOUR. I don’t know how he manages it, but all of us are very grateful that he does. Neither ENDEAVOUR nor LEWIS would have come into being without him. We all do what we do, and all of us involved bring the best work we can to the party, but we’re just the Owsla — he is our Chief Rabbit – Damien-rah. So, a happy memory all round. Weeks of kicking the story around with John Madden over at Shepperton. I think I’ve mentioned before that we got into VERY hot water for going off piste – we couldn’t see a way of delivering the central plank of Colin’s novel, and put together an entirely original story before being jerked off our feet by a strong tug on the choke-chain. Then, of course, having John and Kevin and Jimmy and Clare saying one’s words. A golden afternoon spent watching them shoot the final ‘wash-up’ scene over at Leith Hill. John and Kevin doing their lines about ‘triumph and disaster’, then heading across to the burgundy Jag. I may have said this before, but it’s perhaps worth repeating. When I think about that afternoon, twenty years ago now, the thing that always comes to mind is the final chapter of ‘The House at Pooh Corner’ – in which Christopher Robin and Pooh come to an enchanted place, and we leave them there. And that’s how I always think of Morse and Lewis. That’s where they are for me. Somewhere out there still. Playing, and squabbling, and still fighting for a world worth saving. RUSS: Well, that’s very kind of you. Much appreciated by all at #TeamEndeavour. Another thirty years of Morse? Who knows? It’s been a privilege to have been a part of it, in one way and another, across all its various incarnations thus far, but I expect 2047 will see me long in Kensal Green. Younger, better, infinitely smarter fingers will be upon the typewriter. And that’s how it should be. But it all began with Colin Dexter. Morse was Colin’s gift to the world. That the legend has been expanded upon and embellished by so many is testament to the strength of Colin’s original creation. There have been many custodians over the years, I’m just the latest. I doubt I’ll be the last. Vitai lampada. All the interviews and articles on this website are original and exclusive and I would please ask that the copyright be respected. Therefore, please do not use quotes or any other information contained here without permission. Thank you. DAMIAN: Put fire on luv, it’s getting coda in here. Coda! Be honest, what do you think of it so far? This entry was posted in Endeavour and tagged Bernie Waters, Blenheim Vale, CH SUPT Reginald Bright, Cherubim and Seraphim, Chris Burt, Coda, Cole Matthews, Con O'Neill, Damian Barcroft, Damian M. Barcroft, Damian Michael Barcroft, Damien Timmer, Dead On Time, DI Fred Thursday, Dorothea Frazil, Driven to Distraction, Endeavour, Endeavour Coda, Endeavour First Bus to Woodstock, Endeavour Girl, Endeavour Lazaretto, Endeavour Prey, Endeavour Ride, Endeavour Series 3, Endeavour Series 4, Endeavour Series III, Endeavour Series IV, First Bus to Woodstock, Gina Cronk, Girl, Greeks Bearing Gifts, Harry Rose, Helen Ziegler, Helga Dowie, Inspector Morse, Jim Strange, Joan Thursday, Joe Meek, John Madden, Julian Mitchell, Lazaretto, Lewis, Mammoth Screen, Masonic Mysteries, Paul Tester, Prey, Promised Land, Rebecca Keane, Ride, Roger Allam, Ron Piggot, Russell Lewis, Sam Costin, Second Time Around, Shaun Evans, Ted Childs, The Endeavour Archives, The Infernal Serpent, The Way Through the Woods, The Wench is Dead, Tom Mullens, Trewlove, William Bryce-Morgan, Win Thursday on January 29, 2017 by Damian Michael Barcroft. DAMIAN: Hello Jim and thanks for this. Quite understandably, and for rather obvious reasons, you never originally intended to become a director. However, would you agree that even very early on in your career, you still clearly felt compelled to tell stories in some form or another? JIM: I guess. I mean I was always telling stories – most of them quite tall, and they often got me into trouble! DAMIAN: So, having studied philosophy and worked in news and current affairs, why did you then decide to actually become a director after all, and perhaps even more to the point, although I can appreciate the link between this and your recent projects, why did you leave campaigning journalism to work on soaps such as Coronation Street and Hollyoaks? JIM: Well my heroes were people like John Pilger and Paul Foot and the great Don McCullin. I wanted to be a heroic journalist, and so documentaries and current affairs was an incredibly exciting place to find myself. Plus I was lucky enough to be making documentaries for World in Action, which was the iconic current affairs show at the time. At Granada television, there was kind of an understanding that you could move from World in Action to Coronation Street – directors like Michael Apted had done it. And by then I’d admitted to myself I wanted to make drama, so they let me have a go on the Street. DAMIAN: I wonder if forging your own identity as a director was an important issue for you, and if so, were you therefore ever tempted to stay clear of projects that one might, rather simplistically, describe as films with a social conscience? JIM: I’m still working it out, I think. I mean it’s probably no secret it’s something I’ve struggled with at times, but I kind of don’t think about it too much anymore. You know there’s some things that are easy to pass on because they’re just too close to my Dad, but generally I’ve kind of made my peace with all that. I just follow my gut, and do the things that I’m passionate about. People write what they write, think what they think, it’s not for me to try and control. Mostly it’s OK.
DAMIAN: And given that identity was a central theme in both Oranges and Sunshine (2010) and Life of Crime (2013), do you think this is what attracted you to two these projects? JIM: Yeah I guess. Plus I liked the characters in both, and I wanted to see them on screen. Identity is always fascinating to me – who we are, what makes us who we are, I think all drama can be reduced to this, in a way, because it’s the essence of the human condition isn’t it ? 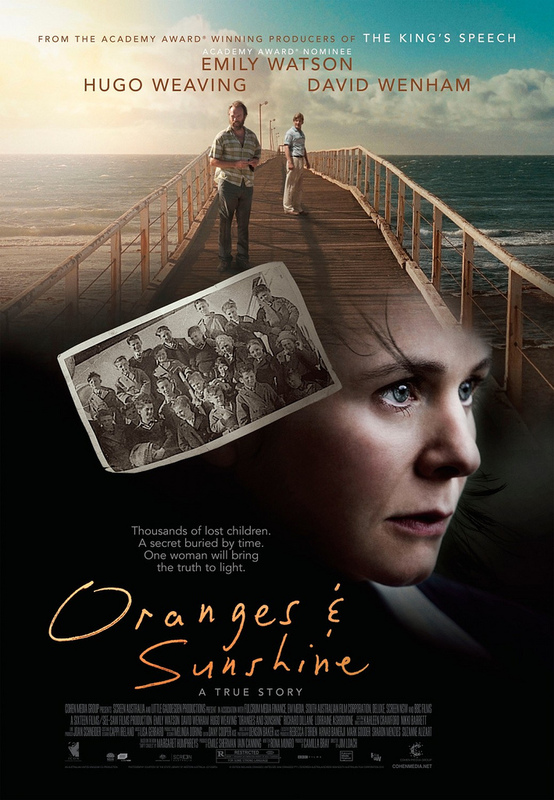 DAMIAN: To deal with Oranges first, was the impetus behind the film to explore the person, Margaret Humphreys, or the issues her work raised? JIM: Well I came across the story and I just was amazed and shocked by it, and really wanted to make the film. The fact that an incredible woman was at the centre of the story, with her own dilemmas, just made it stronger to me. So it was both those things really, in tandem. I thought there was something very primal about the idea of children being separated from their parents, and the story had very visual elements – so I knew pretty much straight away I wanted to make the movie. DAMIAN: Who approached Margaret [above] and what was her initial reaction to making a film based on her memoirs? JIM: I went to see her, and she was pretty wary. For good reasons, which I fully understood. Maybe I just wore her down, I don’t know! Margaret is a very close friend now, and I’m so fond of her. DAMIAN: Like someone such as myself asking their subject interview questions such as those found here I suppose, how does a writer or director get to the truth about a real person they are making a film about without becoming manipulative or exploitative? JIM: I think you just tell the truth, as it seems to you in that moment. Honestly I don’t see it as any more complex than that. When we made Oranges, we didn’t want to be mawkish or sentimental, and of course we felt a huge responsibility to the real people involved, to make sure they would be OK. But at the end of the day we also had a responsibility to make a film that connected with a wide audience. 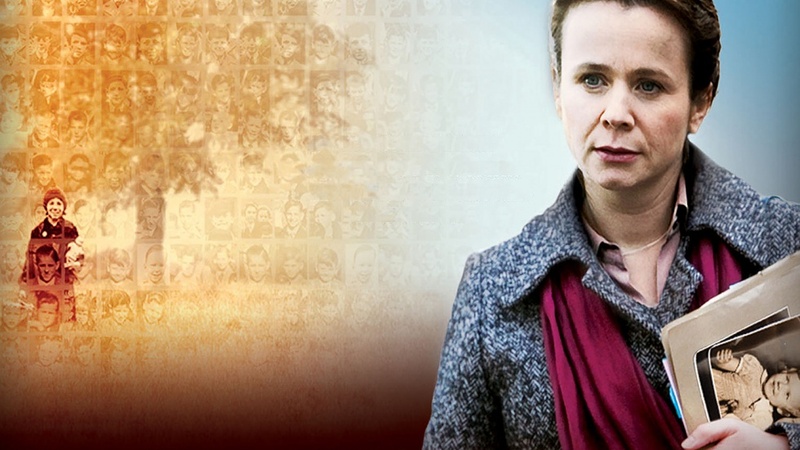 DAMIAN: Emily Watson gives yet another extraordinary performance in this film. Using Emily’s portrayal of Margaret as an example, can you tell us a little bit about your method of working with actors in terms of research, exploring characters, rehearsals and possibly improvisation? JIM: With that film, Emily spent some time putting in what I call some building blocks for the character…. where she went to school, college, where she’d met her husband, where she worked, that kind of thing. I think working out the stuff that’s before the events in the film is most important, rather than rehearsing scenes from the script. Emily and I worked together very intuitively, I think. Not too much chat, we’d set the scene up as truthfully as possible and then just start shooting – always very long takes, not too much cutting. There was a lot of emotional content to every scene, so we didn’t want to hinder that in any way. DAMIAN: In many ways, both Margaret Humphreys and Denise Woods, the character in your three-part police drama Life of Crime, share quite a few similarities don’t they? JIM: Well they’re both very strong women, not to be messed with! DAMIAN: What do Oranges and Life of Crime say about our society when the relationships between the husbands and the lead female characters in these two stories are severely challenged, or ruined in the latter case, because of their work as crusaders for truth and justice? JIM: I think the private cost of public duty is a great dramatic dilemma – it’s a circle that can’t ever really be squared, although it doesn’t stop anyone trying. 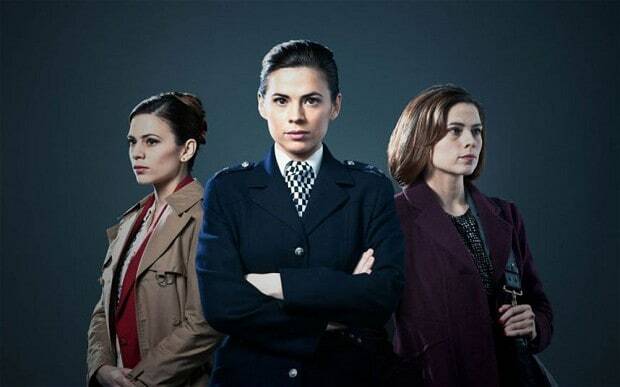 DAMIAN: Hayley Atwell who played Denise Woods is probably most famous internationally for her appearances in the Marvel Cinematic Universe such as Captain America and Agent Carter. How did she become involved with Life of Crime? JIM: I love her work and we met up and talked it through. It was a tough shoot, and Hayley turned in a brilliant performance. DAMIAN: Obviously an actor will audition for a part but how does a director usually get chosen for a film or television project? JIM: Well there’s a difference between the projects you have developed yourself, and those that are sent to you. I like both, but it’s a different process. If it’s a script you’ve been sent – you have to audition, like everyone else! But I tend to be quite careful, you have a sense of where your zones are, material-wise, if you know what I mean. And my agents tend to only send me stuff they know I’ll respond to. DAMIAN: And can you describe how and why you think you were approached for ENDEAVOUR? JIM: I was really keen to get back into British television, as I’d been away for a long time. And I met Helen Ziegler, our supremely talented producer, and we talked it round the houses. For me, it’s always a combination of the material, the writer and the producer that makes me want to get involved. DAMIAN: So you get the job, you read the script and then, because I’m fascinated by the whole process, I wonder what happens next – can you take us through your approach to directing tonight’s ENDEAVOUR, HARVEST? JIM: Well we started with a brilliant script of course. Without that you really haven’t got anything. But then I loved the elemental feel of it, and the very pagan, ritualistic story, set against the modernity of nuclear power. 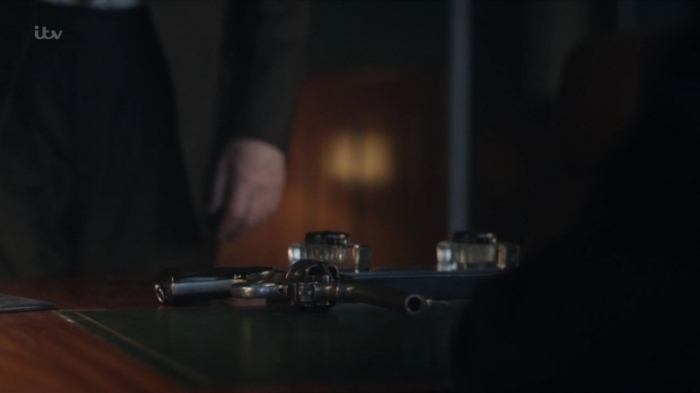 So that central conflict seemed very cinematic, and like a representation of Morse’s inner conflict. So together with the brilliant Ed Rutherford, our director of photography, Alison Butler, the designer and Charlotte Mitchell our costume designer, we developed the visual plan for the piece. We wanted to use lots of low, direct light straight into the lens, flares and all that… we wanted a kind of ethereal, ‘other worldly’ feel, where anything is possible. DAMIAN: In terms of camera angles and setups, do you ever wish you’d have approached certain scenes differently when you see the rushes of during the editing process? JIM: Shall I lie ? Yeah, course. You’re constantly confronted with your mistakes, but you learn to try to work in a way that enables you to cut them out! It’s when you’re stuck with them you’re in trouble. But then again, you’ve got to take risks I think – playing it safe isn’t really an option. No guts, no glory, I reckon. 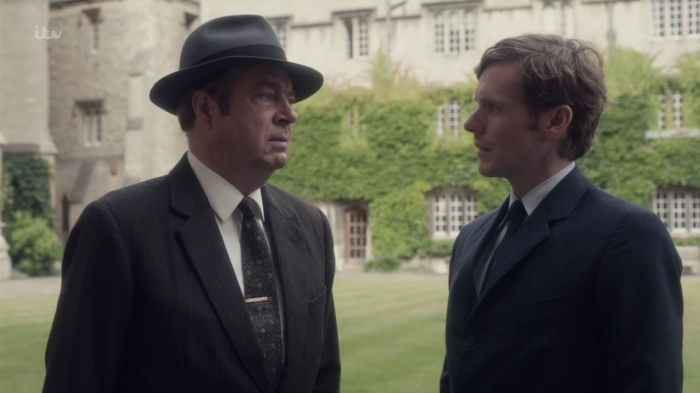 DAMIAN: I don’t know if you’re a fan of ENDEAVOUR or INSPECTOR MORSE, but do you think it is a help or a hindrance if directors are “Morse literate”? JIM: I think you can do it either way. I don’t personally like to get too hung up on what’s already been done, and the references and all that are cool, but I’d personally prefer to leave them for the audience. You kind of have your own thing going on, and you want to develop that. DAMIAN: There are often many revisions to the script throughout the shooting of ENDEAVOUR, can you describe your collaborative process with the writer Russell Lewis? JIM: Russ is an exceptionally talented writer and a pleasure. Basically he told me what’s going to happen, and then I got on with it! We had a lot of fun, and he’s a very collaborative writer, full of ideas. When everyone sat and pondered, he’d go out for a crafty smoke – and come back with the solution. 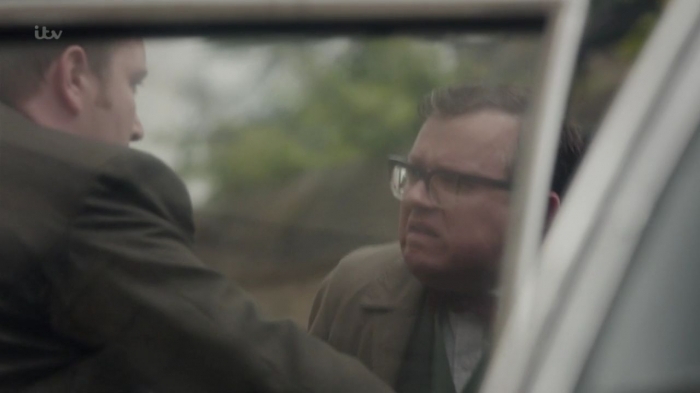 DAMIAN: I know that Shaun Evans has a very particular view and insight into his character, often sharing his own opinions regarding the motivations of Endeavour etc. At what point would you say that most of his queries are resolved, during pre-production or while shooting? JIM: Well anytime really. Anytime is fine with me, so long as it’s post coffee. We talked all of the time, throughout the whole process. Inevitably a lot of stuff gets worked out as you shoot, because the whole thing has come to life then, and the questions become more urgent and real, in a way. Shaun has a brilliant eye for the detail, which is important because ultimately he’s the guy that’s got to tell us what’s been going on. I loved watching him from the camera. DAMIAN: And with a cast of such a high calibre as ENDEAVOUR, isn’t it a little daunting to direct actors who know their characters inside out and have been performing them for some years now? JIM: Not daunting no, because actors are actors, you know? The process is the same. You’re all searching for the the truth of the piece, and looking to stretch yourself creatively. DAMIAN: As opposed to projects such as ENDEAVOUR, would you say you enjoy more creative freedom when directing your own films which might be described as a little more intimate or personal? JIM: In a way, yes, I mean on my films you kind of have complete freedom, because you are the originator of the project. But then I have to say the producers gave me a lot of creative freedom with this, which was really brilliant. It’s exactly what you want from producers really – encouraging you to go for it, to have the courage of your convictions. So creatively it was very rewarding, and I’m very proud of the result. DAMIAN: Each ENDEAVOUR film has had a different director (apart from FIRST BUS TO WOODSTOCK and HOME which were both directed by Colm McCarthy), is there ever a sense that directors are expected to remain consistent to a particular style or are directors free to put their own visual stamp on their episodes? JIM: The producers told me to put my own stamp on it. There’s no ‘house style’. They want you to do your thing. So that was a big reason to get involved. DAMIAN: Would you say that you have a particular visual style? DAMIAN: Which film or television directors do you admire? JIM: So many. Cassavetes was my hero, the Dardennes, Winterbottom, Lynne Shelton, David O’Russell. So many. I think I’m probably influenced by everything I see, in some way – I guess we all are. DAMIAN: What can you tell us about your new film Measure of a Man which I believe is due to be released sometime this year? JIM: It’s a classic American coming of age film, about an overweight kid, who just wants to fit in. It’s a film I’d wanted to make my whole life really – I think it’s a genre that American independent cinema does so well – and Stand by Me has been a film that I’ve always loved. I wanted to make a movie with more of a smile on its face, just lighter in tone – I thought it was time to have some fun. So there’s a lot of humour, but I think it’s a story that anyone can connect with, because we’ve all felt like an outsider at some point. Judy Greer, Luke Wilson, Donald Sutherland star alongside young Blake Cooper, who is incredible. DAMIAN: And what is the legendary Donald Sutherland like to work with? JIM: He’s deadly serious about the work of course, and tonnes of fun also, so it’s a good combination. I think he’s the most technically accomplished actor I’ve ever worked with, and he found an extraordinary emotional connection to the character. 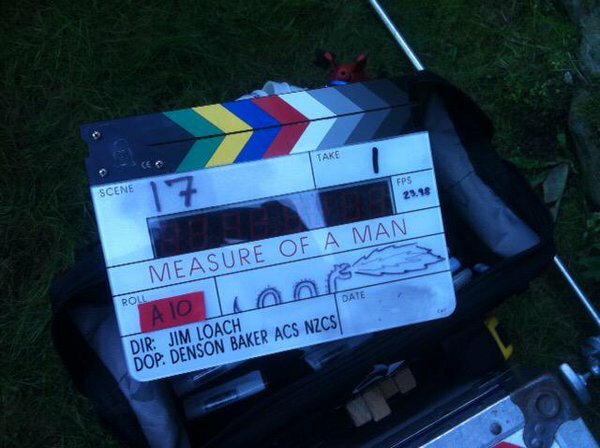 He’s done something quite special in Measure of a Man, and I can’t wait for people to see it. 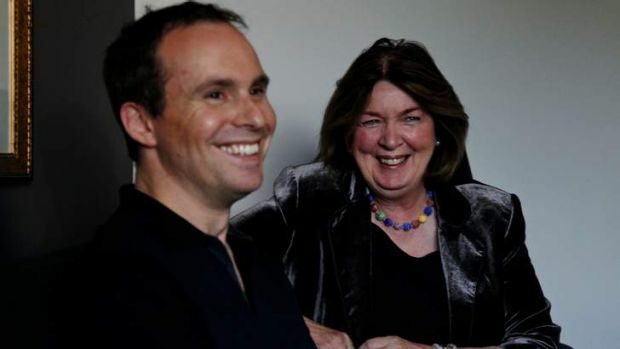 DAMIAN: Your next film after that is another collaboration with screenwriter Rona Munro. What is it about her writing that you find so engaging? JIM: Rona writes dialogue which is so beautiful, and so true, and we adore working together. I think we see the world similarly, which is important, and balance each other quite well, except she’s much cleverer than I am. I hope we can get to make another film soon – we have a script ready. But first I’m going to be making a film called The Panopticon – it’s a fantastic script by Jenni Fagan, adapted from her own novel. It’s set in Edinburgh, and a really special project. DAMIAN: I notice that many films these days, particularly those with a relatively small budget, have many production companies, distributors and financiers credited in a list almost as long as its cast. How difficult is it to get your feature films made and into cinemas? JIM: It’s hard, and getting harder, but others are better placed to say why. I just want to be able to raise enough money each time to make the films I want to make. DAMIAN: What do you think you’d be doing now if you hadn’t decided to become a film and television director? JIM: Ha, God knows! Centre midfield for arsenal?! DAMIAN: Well I’m glad you did, particularly when you direct projects with such honesty and integrity. And I must say, I much prefer to see you directing in Oxford as oppose to Weatherfield. You know, I remember seeing Russ as a child and he kept a sick pigeon in a box at the bottom of his bed until it was well again. I wonder if you had any birds as a child – a kestrel perhaps? DAMIAN: Jim, thank you very much indeed and all the very best with all your future work. This entry was posted in Endeavour and tagged Alison Butler, Blake Cooper, Charlotte Mitchell, Colm McCarthy, Damian Barcroft, Damian M. Barcroft, Damian Michael Barcroft, Denise Woods, Donald Sutherland, Ed Rutherford, Emily Watson, Endeavour, Endeavour First Bus to Woodstock, Endeavour Harvest, Endeavour Home, Endeavour Series 4, Endeavour Series IV, Hayley Atwell, Helen Ziegler, Jenni Fagan, Jim Loach, Judy Greer, Life of Crime, Luke Wilson, Margarat Humphreys, Measure of a Man, Oranges and Sunshine, Rona Munro, Russell Lewis, Shaun Evans, The Endeavour Archives, The Panopticon on January 29, 2017 by Damian Michael Barcroft.